Line Hardware fittings are used to connect insulators to the towers and conductos. The forged hardware is mainly made of heat treated steel. 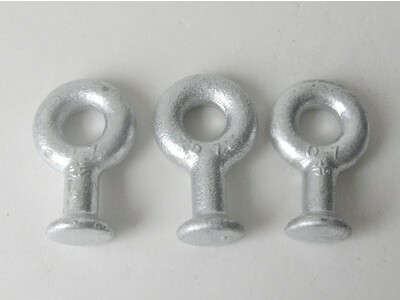 This steel is especially suitable for forging and its good performance,especially ductility,is due to the heat treatment process.The short circuit capability of the Line Hardware fittings depends on the cross sections used as well as the smoothness of bolts and holes and on the mechanical load applied. One should keep in mind that at higher temperatures the strength of the hardware will be reduced. Standard:The connecting bolts are grade 4.8 or 8.8.Split pins are made of stainless steel or tinned copper. Dimension of other connections are shown in the relevant catalogue section,but also others are available on request.